The third day I went to the Hofburg Palace (different from the Schönbrunn Palace – which is their summer residence). The Hofburg is the normal residence of the rulers of the Hapsburg Dynasty. The current president of Austria also resides here….somewhere. The palace definitely exudes power. I love love the detail of all these historical buildings in Europe. 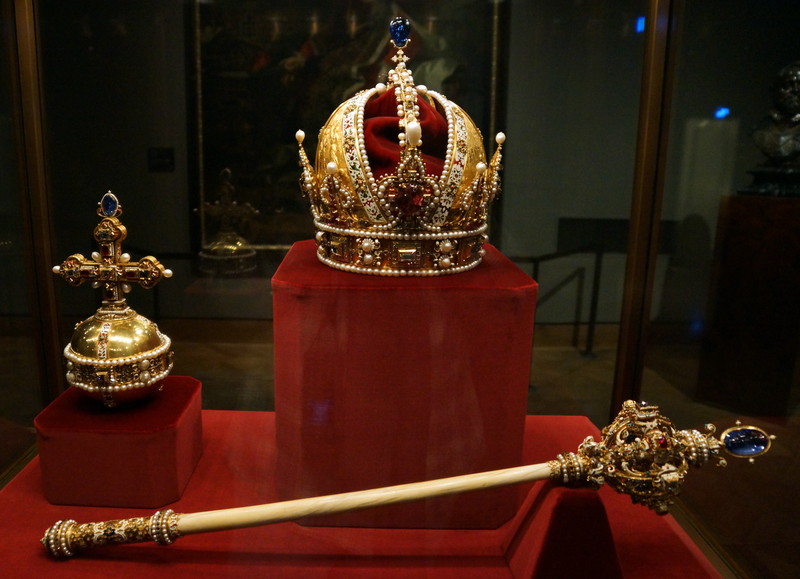 The Imperial Treasury is a 21-room collection of all the magnificant, expensive, rare, valuble stuff the Hapsburgs had collected over time. It boggles my mind at how much the former kings and queens of countiries spent on extragavant clothes, crowns, and things to make them feel like…well God. It was worth it to get the audio guide (extra 4 euros). No pictures were allowed but I was able to sneak in a few blurry ones. Here is one taken from wikipedia though. I saw the biggest aquamarine stone and so. much. gold. Gold in everything – clothes, crowns, shoes, secptres, etc. You can buy tickets online but I was able to go Christmas Eve and expected long queues but nope. No lines at all. I am assuming that the lines in summer are dreadful so take in account when you visit. I did not bother to see the Hofburg Apartments or the “Silver treasury.” All the guidebooks said it wasn’t worth the money or time. Click more to see the entire album after the jump.